I have looked high and low trying to find a gadget or code for Blogger on Blogspot. I have used Print Friendly, Google Sites for printables, Recipage and Key Ingredient. This new one works perfectly! How exciting is that? Well, look no further fellow Bloggers. We have arrived! After previewing it, now you click CHOOSE THE STYLE. Once you choose the style you like, then you copy and paste the html code in the HTML part of your post. I am so excited about this! Finally bloggers can have an awesome recipe format for printing. It is easy to use. How do you get to The Recipe Whiz? Is it an app you add to your blogger layout? Do you go outside your blog to an address on the internet? This is great to know, Linda! Thank you so much for sharing. Linda, you are the smartest one! What a great idea! You're the best, my friend. Thanks for sharing Linda! 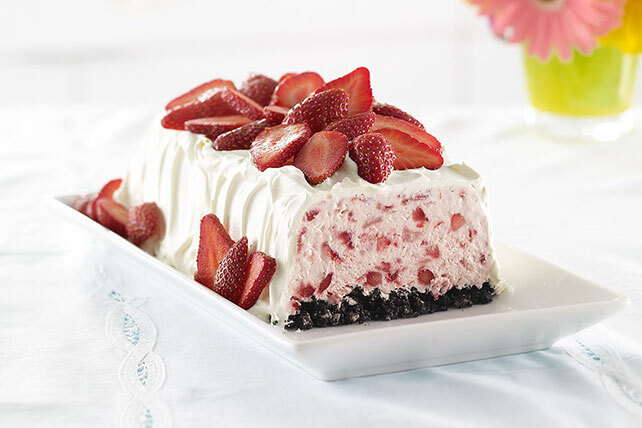 I am thrilled to now be able to add this to my blog for all the recipes we share!! You have made my birthday, m'dear! Thanks for sharing, Linda! I don't know if I can figure it out, but it sure would be nice! What a neat feature for blogger blogs! I'll give it a whirl! Thanks Linda. This sounds fantastic, Linda! I sure can use it as I usually post a recipe in each one (or at least every other one) of my post. You are brilliant! Linda I can't thank you enough for this. I'm so excited. This is a fabulous idea dear Linda! You are such a wiz, I am envious, wish I was a fourth as savvy as you this way I would figure out "WHY MY NEW POST'S THUMBNAIL DOESN'T APPEAR FOR THE LAST 2 HOURS!" Do you know? Maybe you can explain if this is happened before, even to you? To be clear, the thumbnail doesn't PUBLISH ! That should improve my culinary skills no-end. 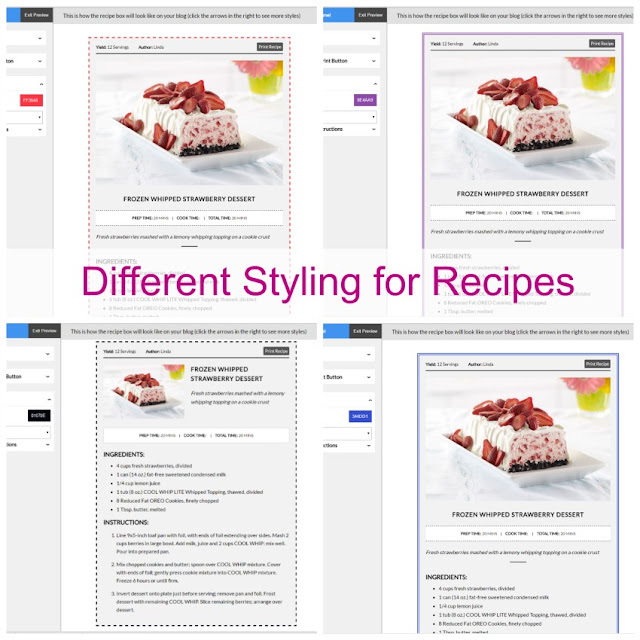 Looks fabulous .. . .
That will make blog posts on recipes much easier to save and I love how it formats on the blog post too, thanks for sharing this Linda! Hi Linda, you are so talented, great post. Happy Mother's Day and Cinco de Mayo to you! I have often wondered how to do this Linda. Thanks for teaching us all so much. I'm pinning to TOHOT and my blogging board. You continue to amaze me with your talent! Not sure if I can do this but will try. Thanks so much for sharing! Thank you so much. It is very helpfull. Thank you so much for this! I'm off to try it out! Hi Linda! I was using this site for changing my blog posts over to being printable...but now the site isn't working. Are you having the same issue? Thanks! Any insight you have would be fabulous! Hi Carol, it tried it recently and it is still working. Actually there is a better Recipes generator now. My friend designed it, when I told him Blogger needed a similar recipe format like WP. I know this post is almost two years old but you should do an update for this. I went to the Recipe Generator website and it is not free... Or am I doing something wrong? Same issue here. I don't think it's free anymore. Yes, it isn't free anymore. It is $3.00 a month. Thanks for this. I just bought it now from this post's recommendation. You are welcome. 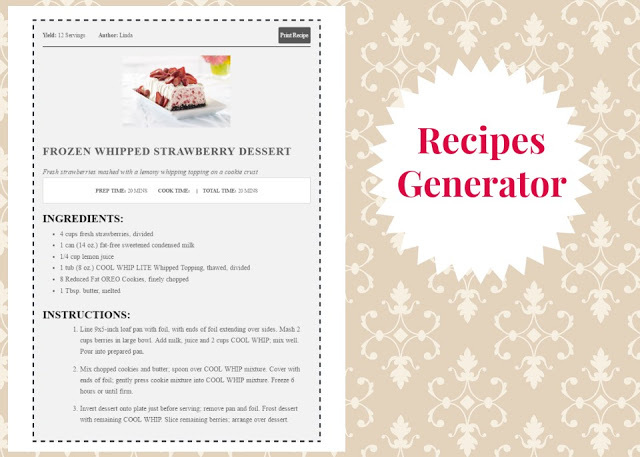 Finally a recipe generator for Blogger. He is always adding new features too. Can you tell me exactly what the issue is. Did you upload a photo to your blog and grab the url for the photo?